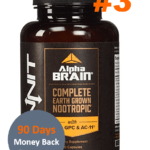 Most of the reviews of nootropics we do on this site are for those who lack motivation, mental energy, focus, and other such qualities collectively known as brain power. 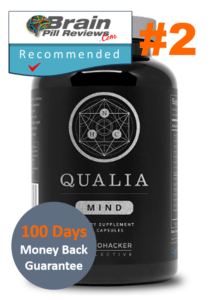 However, many of the nootropics makers are forgetting about a certain group of people who are also interested in brain pills – those with anxiety issues. 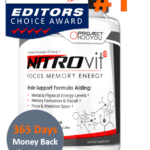 Sure, a caffeine pill is a great way to potentiate the nootropics substances in Alpha Brain, Nitrovit, or similar nootropic, but this can cause a sort of ‘overdrive’ situation for some people who take it. That is, they feel motivated to do their work, but they also feel anxious, jittery, and uncomfortable. It doesn’t matter how motivated you feel to do something if you are too sick to do it. This is where aniracetam comes into play! Mechanism of Action / How Does Aniracetam Work? Based on our compelling introduction, hopefully you are interested to read more about this product. This is a good sign, since we believe aniracetam might become a much more commonly used nootropic substance in the near future. 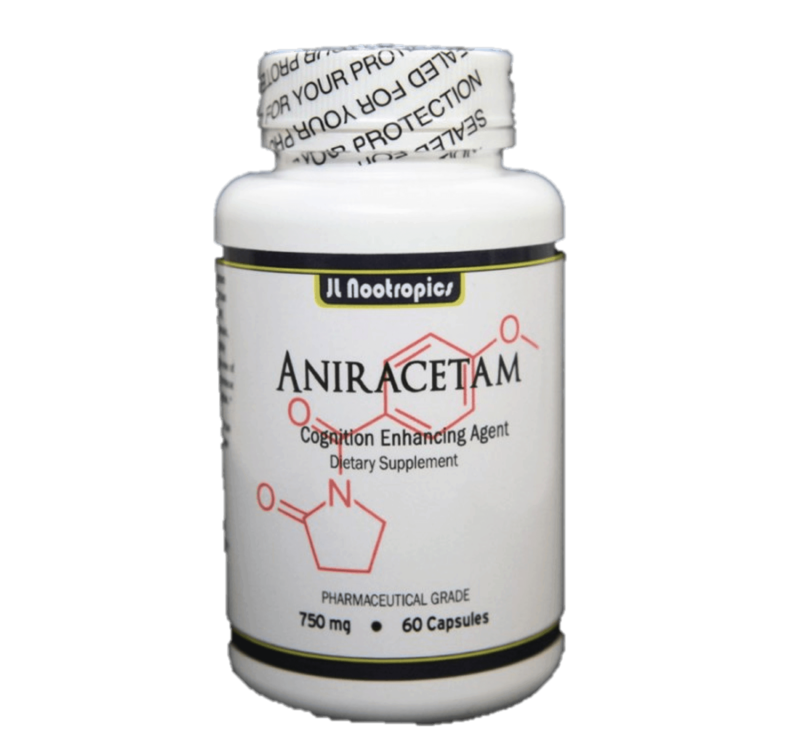 Essentially, aniracetam is part of the racetam family of nootropics. 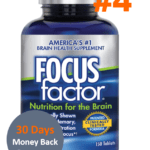 Yes, the racetams are legendary for their ability to increase focus, memory recall, and other cognitive improvements, but aniracetam is a little different. Developed not that long ago in the 1970s, aniracetam binds to certain AMPA receptor sites in the brain. As it does this, it directly affects the body’s central nervous system. Basically, you will feel the effects of aniracetam all throughout your body, and not just in the brain. The main benefits of aniracetam are that it pushes the limits of the brain while also providing a palpable level of relaxation. 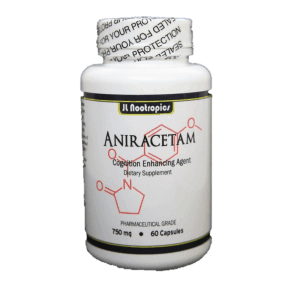 Instead of feeling jittery and anxious, aniracetam allows you to feel the mental clarity that we need in order to handle complex tasks. All too often, certain other nootropics push our brains to the ‘monkey mind’ position where we can handle small tasks quickly, but lack the mental depth to write a full business proposal, outline a complex financial restructuring, or even plan a marriage speech. However, aniracetam activates the D2 and D3 receptors for dopamine – a powerful chemical synapse in the brain. This is what gives aniracetam its primary anxiolytic effects. Have you ever noticed that you seem to be able to do good, solid work for about 60 minutes? After that, it is difficult to dig down deep into your cognitive recesses and find the answers you need to continue. According to this biological dilemma, the makers of aniracetam understood that the limitation (largely due to the amount of glucose in the brain) could be solved with the binding on the D2 and D3 receptors. This allowed the brain to delay this ticking time clock – essentially hitting a snooze button which allows you to keep on thinking and working beyond the 60-minute window. User’s may experience double or triple the timeframe for effective thought and work. Thus, making aniracetam a recommended substance. Give it a try. As you have seen whilst doing research for aniracetam, this substance is sold as a raw ingredient to be consumed. 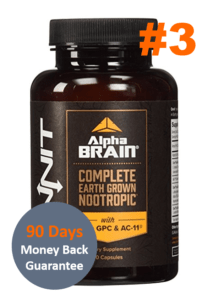 Certain nootropic supplements include aniracetam in their formula, however, this is a good substance to be included as a separate ingredient to be taken with a Noopept-based supplement. 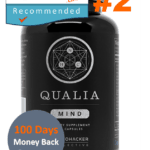 This provides some of the best results we have ever seen, as you achieve the Holy Trinity of nootropics benefits – nootropics, potentiation, anxiolytics. At the time of writing, aniracetam is most easily purchased as a powder. Which can easily be added to your existing nootropic stack. Alternatively it can be added into a glass of water, fruit shake, or yogurt. Chinese suppliers tend to provide alternative ‘cheap’ versions of aniracetam. Users should be cautious of the quality of the product when making an and purchases. Avoid these bulk discounters, as quality can vary wildly. This will negatively affect your dosing as well as you health. We have given this product a positive review based on its effectiveness, safety, and lack of side effects. This nootropic substance is beneficial for those who have struggled to find a supplement that didn’t make them anxious. 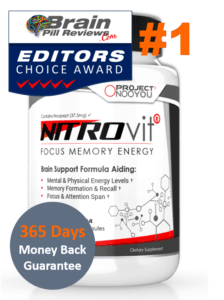 For all those people out there who want the cognitive benefits of caffeine-infused nootropics without the side effects. Aniracetam may be the best choice. However, for those who have not felt any side effects from their current dosage, taking aniracetam will not achieve the results that you can get from a Noopept-based nootropic supplement like Lumonol. While Aniracetam is definitely a step up from the common piracetam, it isn’t anywhere near perfect. While effects are a lot more intense, so are its side effects. You’ll need to be taking Choline at the very least to keep the headaches at bay. Additionally, it does become quite expensive, especially if you need to stack it with a lot of different ingredients. 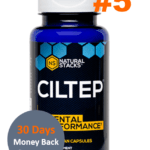 If you were to purchase 4-5 different supplements, it would already be a lot more than what you would need for say, a pre-stacked formula nootropic like Alpha Brain or NITROvit.